6.1 Easy to assemble and disassemble: The houses can be assembled and disassembled for dozens of times and can be reused for many times. And the assembling only needs simple tools and doesn't need power source. The connections of the pieces of the house all adopt plugs or screw connections. 6.2 Strong Structure: It adopts steel frame structure, therefore it is stable and in line with the designing code of building structure. 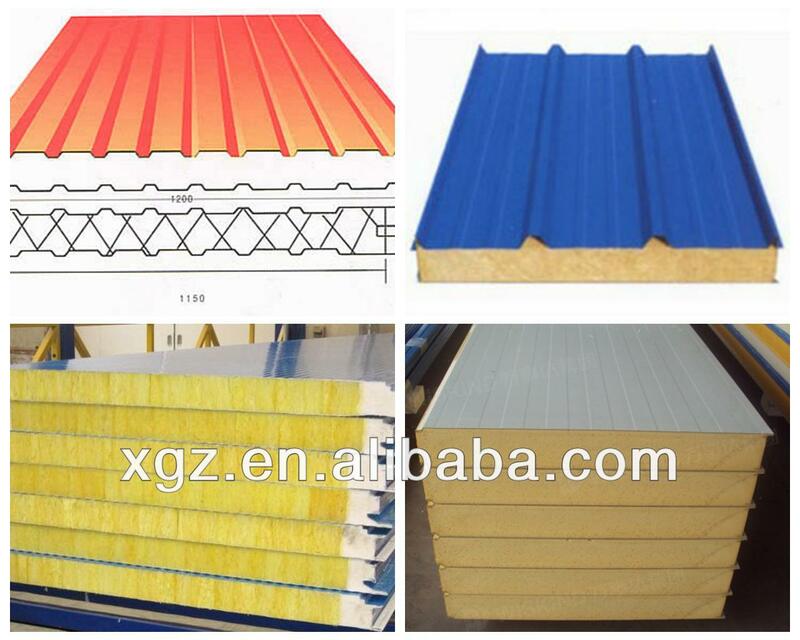 6.3 Heat-insulation: The roof and wall are made of color steel sandwich panel (EPS, XPS, PU or Rock Wool) which have good heat-insulating and fire-proof performance. 6.4 Durable: The steel frame parts are all processed with anti-corrosion coating and it can be used more than 20 years. 6.5 Environment protection: The design of the house is reasonable and it is easy to assemble and disassemble.